Some guests have been coming for so long they are like family…and that’s what makes what we do so sweet…ok, surfing in paradise would probably be sweet anyway even if you had no friends and lived like a total hermit…but having great friends make it even sweeter! Now that it’s been almost 12 years of Witch’s Rock Surf Camp, we have some amazing relationships with guests who have been visiting us since the early days, and have formed some great friendships in the process. Danny Mitchell from Grapevine, Texas has been visiting us for 10 years now. 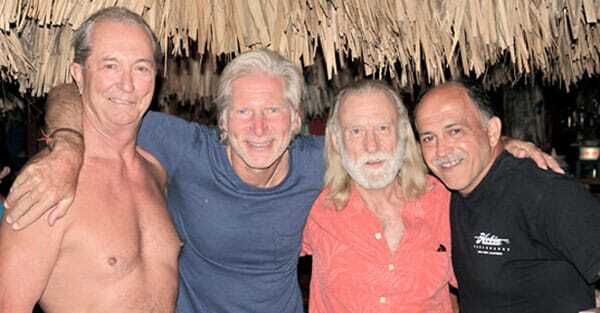 John Petrocelli and Ray Elhilow are friends from Long Island, New York who have been coming for even longer, and planned their latest trip to coordinate with Danny. They are all pictured above with PK Walsh who has been coming to Witch’s Rock since…well…since he drove the Bus down here with Joe and Holly! (PK is Joe’s Dad). Danny originally visited Witch’s Rock Surf Camp with his fellow Texan buddy Mike Oldani (who has been coming to WRSC since the very beginning as well. We plan a profile on him soon). The more things change...the more they stay the same. 2012? 1972? Who can really tell? 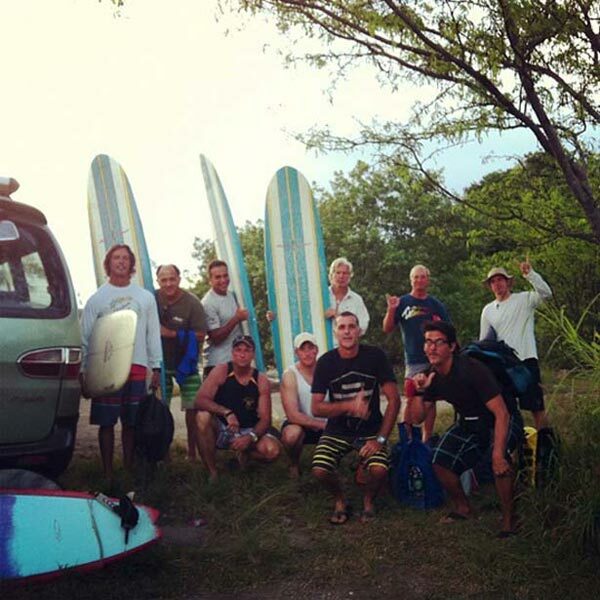 The boys are on safari, and it looks like timeless fun with a bunch of Robert August Single Fins. 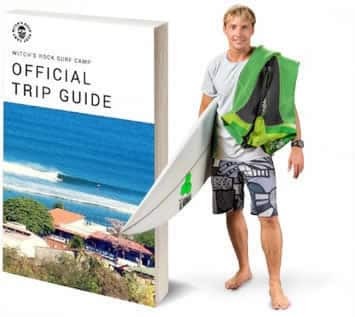 Guys like Danny, John, and Ray love the weather, waves, and people of Costa Rica, and how everything is taken care of with Witch’s Rock Surf Camp. Danny getting what he came for. Again. And Again. These days, Danny ‘enjoys life for a living’. He is married with two grown daughters, but he still keeps plenty busy with his three grandchildren. 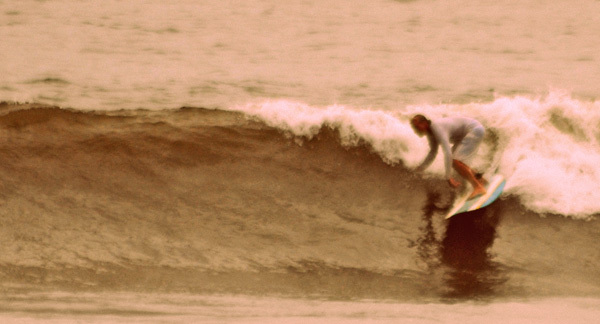 Danny’s favorite point break in Costa Rica is El Golfo, where he got the biggest waves of his life. Ollie’s is also one of his favorite points “I never get tired of surfing there with friends.” The next time you see Danny enjoying the sushi at Eat @ Joe’s, ask him to tell you story about the Cab and the Crocodile…it’s a good yarn and exactly the type of ‘tall but true’ tale that goes down great with a cold beer on a warm beach after a hot day of surfing. Danny’s recommendations for WRSC: first part of November is a great time of year, Room 14 (Tiki Balcony) is his favorite room, Chicken or Steak on the Grill is his favorite when we BBQ, and WRSC is his favorite vacation of all time. Ray Elhilow works for the same commercial construction company as John Petrocelli on Long Island. Ray has came to Witch’s for 12 years because of the staff at WRSC. Not a perfect photo of not a perfect wave...but still damn fun. Who doesn't want to be where John is right now? Ray’s favorite point break is Ollie’s Point…a clean right that never ends. 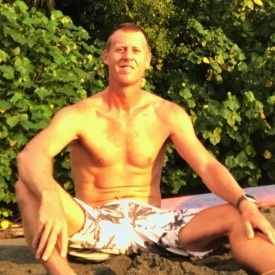 His favorite guides to surf with are David and Flash, he says they have been great over the years. Ray thinks that the best time to come to Costa Rica, especially WRSC is early November because the rains are ending and it’s right before the crowds come. When Ray is at home and not surfing he likes to work hard, work out, and spend time with his family. Our long-time repeat guests like Danny, John, and Ray literally built our business, for which we are forever grateful. We’re also stoked that the friends we get to see over and over again at Surf Camp are such nice people. It sure makes it easy!